The 2018 Dodge Challenger SRT Demon was one of the most hyped new-car launches in recent memory, but Dodge followed that hype with some bold performance claims. For one, Dodge said the Demon can accelerate from 0 to 60 mph faster than any production car. 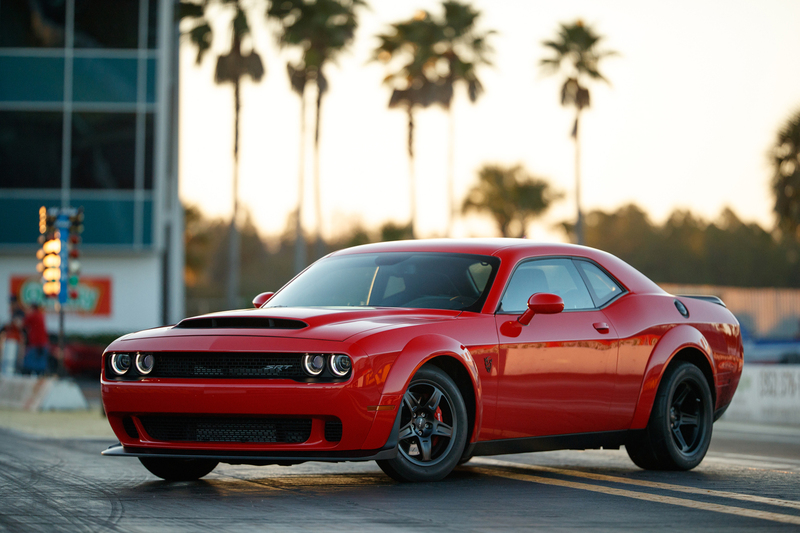 But like Dodge’s claim that the Demon was banned from drag racing, there’s more to the story. Dodge said the Demon does 0 to 60 mph in 2.3 seconds. Yet Motor Trend recently got a Tesla Model S P100D with Ludicrous Mode to reach 60 mph from a standstill in 2.28 seconds. What gives? It all comes down to testing procedures, specifically “rollout.” That’s the 7 inches cars on a drag strip are allowed to roll forward before the timer starts. It’s largely to account for the time it takes a car to roll across the starting line and triggering the timing equipment, which can vary depending on a number of factors. Remember that drag racing focuses on quarter-mile times, which are elapsed times between two points. Those points need to be the same for both cars in a race. Motor Trend’s 2.28-second figure for the Model S includes rollout, but Dodge’s 2.3-second figure figure for the Demon does not. With rollout added back in, Motor Trend said the Model S would take 2.53 seconds to reach 60 mph. The Demon, meanwhile, might be even quicker if rollout was factored in. “Lately some people are trying to go for big stats, so they are including rollout, and they are being honest. Most people don’t know what rollout is, so it’s kind of a throwaway disclaimer,” Tim Kuniskis, head of passenger cars for Fiat Chrysler Automobiles in North America, told Motor Authority. With rollout, he said the Demon would do 0 to 60 mph in 2.1 seconds. Rollout does mean that the car is already moving before the timers start so, while it is a commonly used procedure, it’s not technically a measure of “zero” to 60 mph acceleration. On the other hand, Dodge only achieved its insane acceleration figure by building a car with one seat and drag radials, and that only achieves maximum power with 100-octane racing fuel and a special engine computer. Regardless, the two quickest-accelerating production cars aren’t exotic European supercars, but a muscle car and an electric luxury sedan developed right here in the United States that are at least more attainable than a limited-edition Ferrari, Bugatti, or Koenigsegg. That’s pretty cool.